Drug abuse and alcohol addiction are major concerns for local and federal governments. High incidences of substance abuse and addiction can cause a myriad of problems, many which can threaten the infrastructure of society. It is partly for this reason that the government subsidizes alcohol and drug rehab facilities. This makes it affordable for addicts in need, to get help. Texas drug and alcohol rehab centers work everyday to support and treat substance abusers. 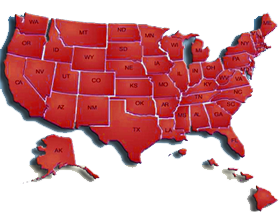 Alcohol dependence continues to be a problem in most states. Abuse of this substance occurs in all age groups including those that are legally too young to drink. Alcohol dependence and binging continues to a huge problem. This is partly because of the lax attitudes about drinking. Often times it is encouraged or seen as no big deal. This can lead individuals, especially younger ones, to alcohol abuse. Drug use also continues to be serious problem. Not only has it not subsided in scope but the types of drugs that individuals are using are growing. For example, more and more persons are abusing prescription medications. Drugs such as Vicodin, Xanax and Oxycontin are being used to get high. Cocaine, heroin and marijuana are still being smoked, but now people are also using methamphetamines. Texas alcohol and drug rehab centers have their hands full helping persons overcome substance abuse. Texas drug and alcohol rehab centers are seeing an increased number of individuals enter their facilities that are addicted to heroin. These are not only adults but young persons as well who have already experimented with other types of drugs. This is a quite frightening prospect. Adolescents, teens and college age-students are using drugs, very addictive ones, and expressing no real concern. 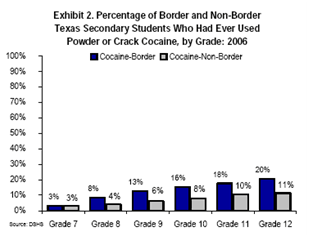 Methamphetamine has been a growing problem in Texas. However, it has quieted down some. The quality of the drug is getting poorer and many shipments from Mexico are being intercepted. As a result, many addicts are going back to cooking it themselves. Cocaine use is also down. Gang warfare over the sell of the drugs amongst Mexican gangs and the subsequent violence has made it less available. It is still a problem but not as big of one as in previous years. Texas drug and alcohol rehabilitation centers are seeing those who are dependent on alcohol more then any other type of drug. However, those numbers are decreasing. Fewer people are coming in for alcohol abuse then they have in the past. Drug admissions are up, especially for heroin. Texas substance abuse centers mostly offer outpatient treatment, though there are a good number of residential facilities in the state. The former is the primary type of drug and alcohol rehab available in the state.